In Denmark it seemed as if there were more portraits than in other places. I’m not sure if that’s true but here are a few I noticed in particular. 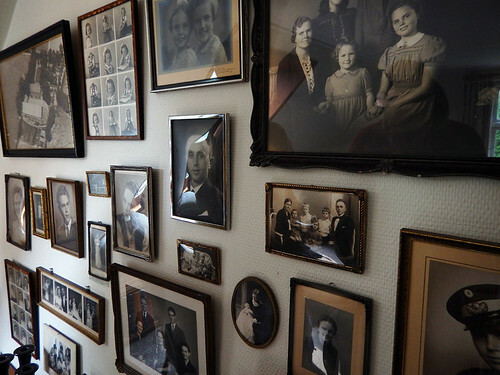 Family portraits on the wall in an old house on Funen. 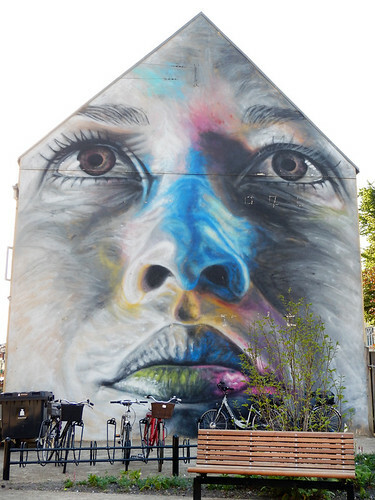 Mural of a face on a house in Aalborg. 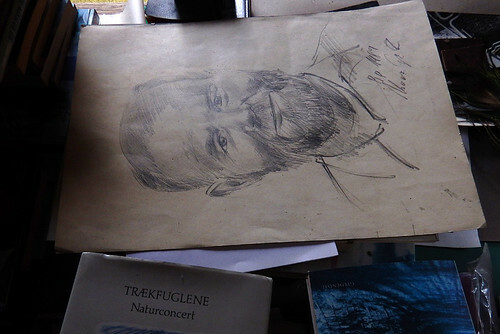 A pencil sketch left on a desk in a forgotten room. 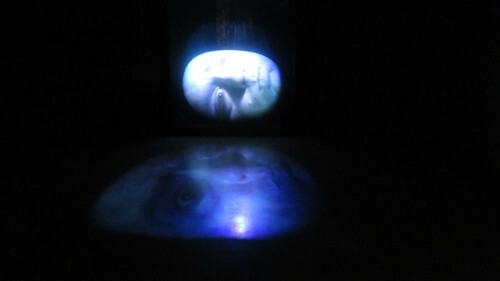 A projected face alone in a room at ARoS Modern Art Gallery in Aarhus. 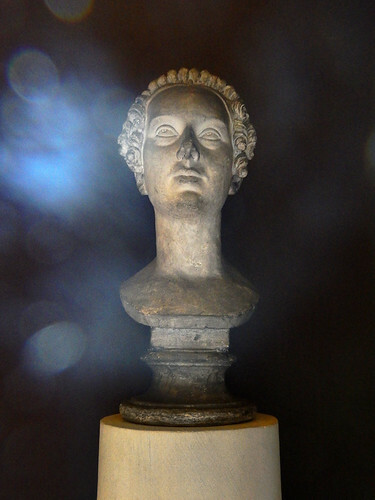 A marble bust at Thorvaldsen Museum in Copenhagen. 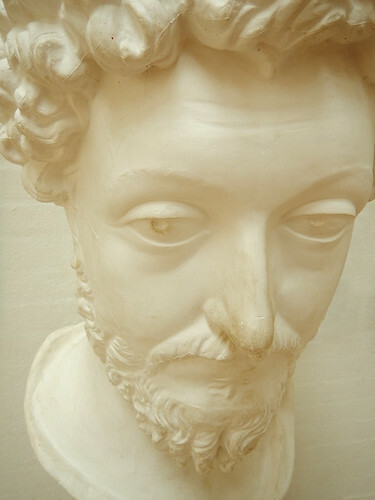 n the Silkeborg Museum Café, a plaster casting of a bust of the famous Roman Marcus Aurelius. 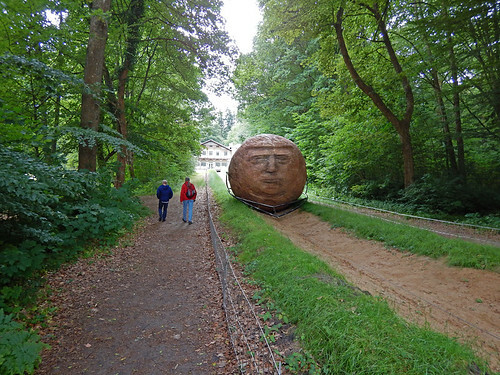 Sisyphus, a huge rolling stone sculpture that is periodically hauled up the hill at the Silkeborg Sculpture Garden in Denmark. Someone was having a bit too much fun with this portrait poster in Aarhus. More of Ryan Photography’s Photo Challenge: Portrait.